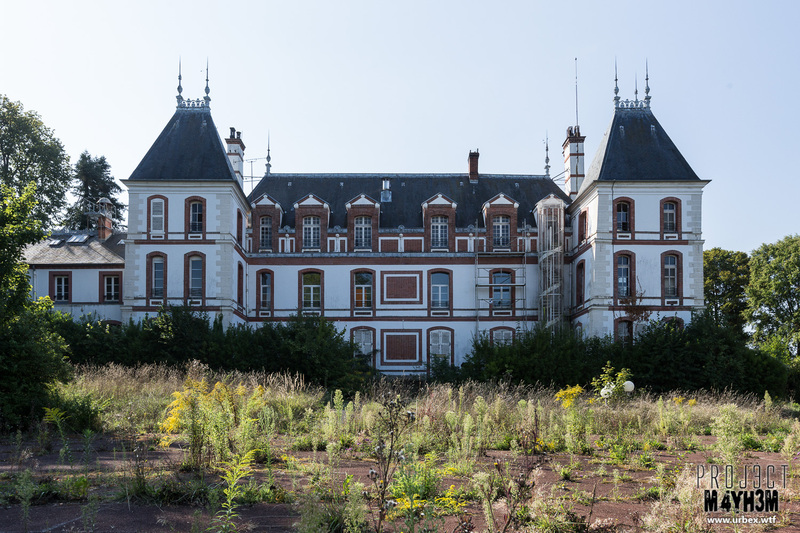 Visited this Castle with Donna twice over the space of our 2 day trip, the first time we arrived pretty late in the day, light was fading and we still had a fair drive to our planned hotel for the night and so we had a quick look around the inside and decided to leave it until we had better light. 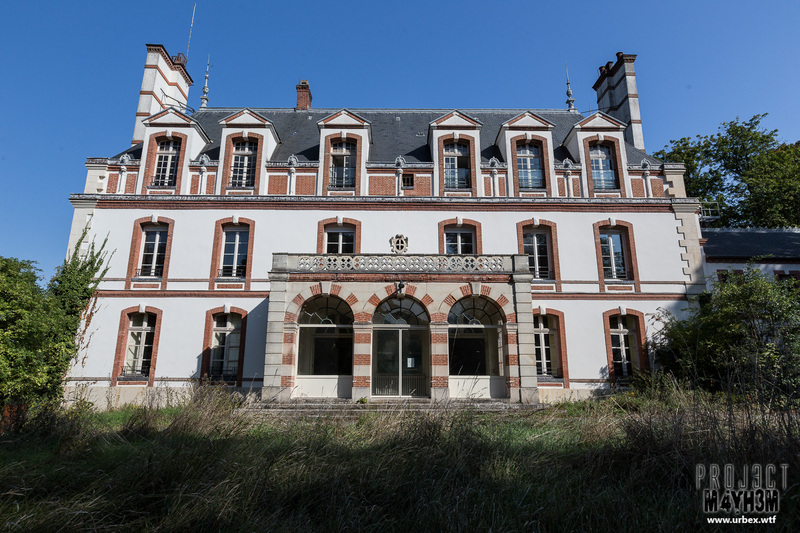 We came back the following day and had a better look around the site including a couple of other detached buildings. 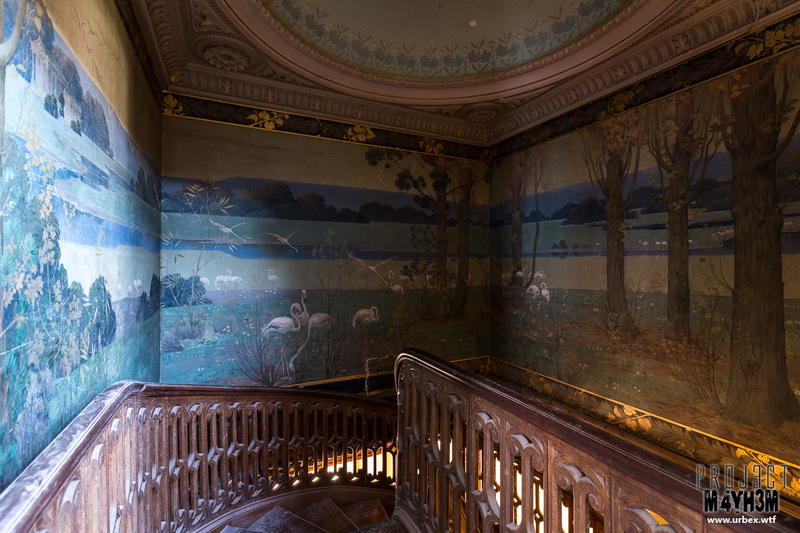 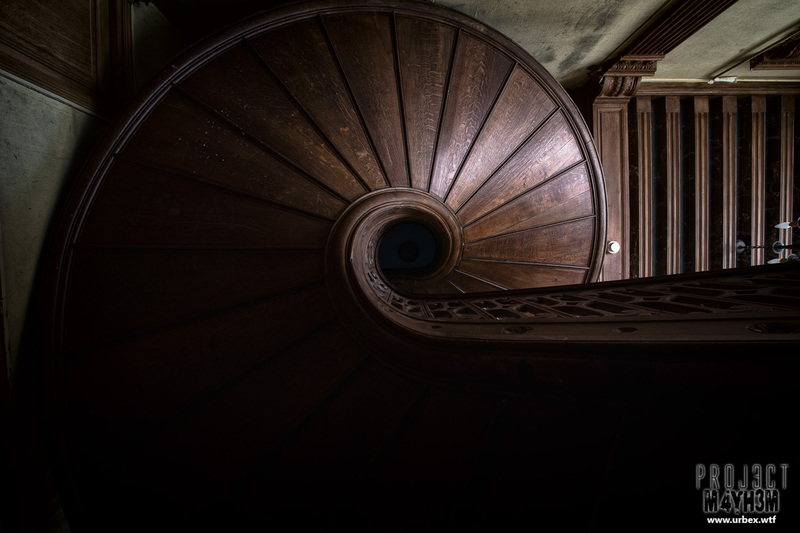 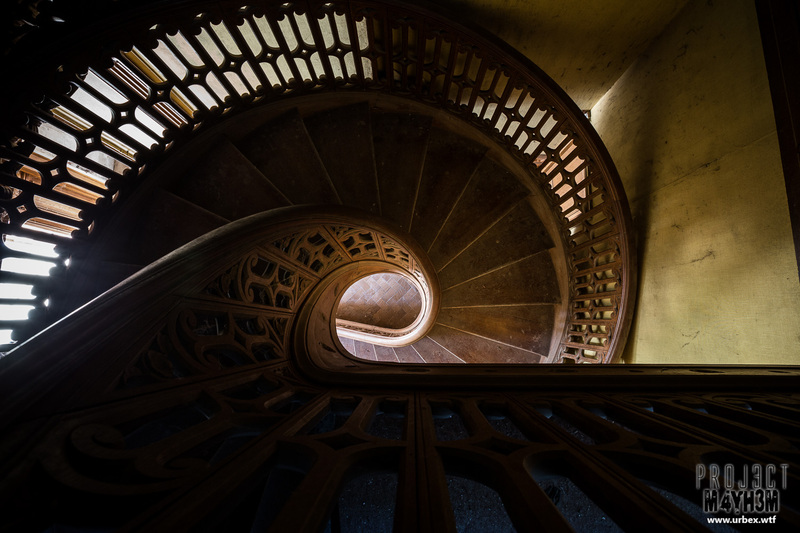 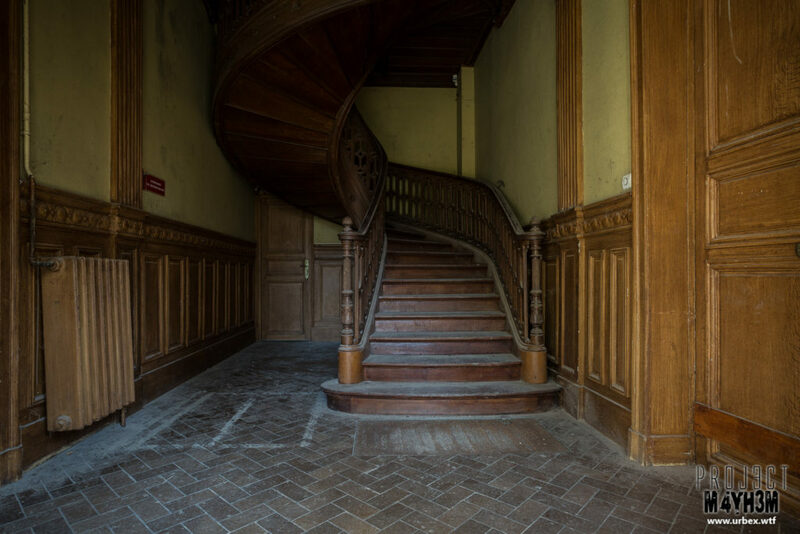 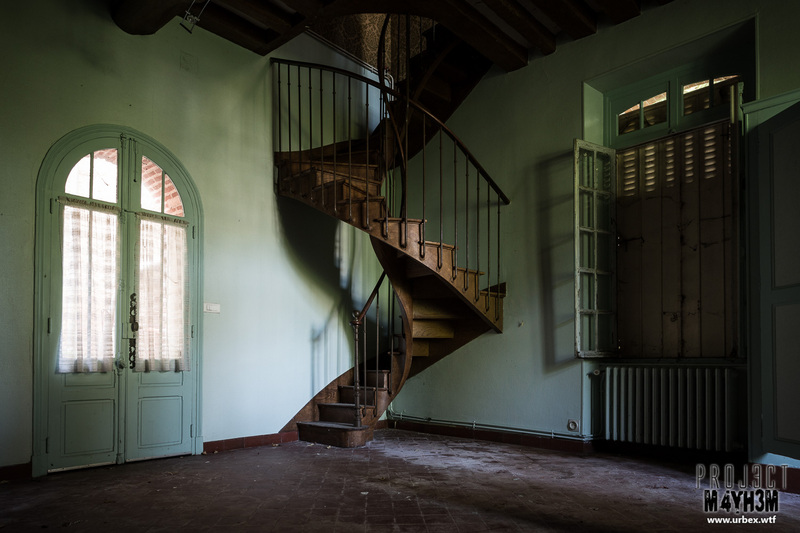 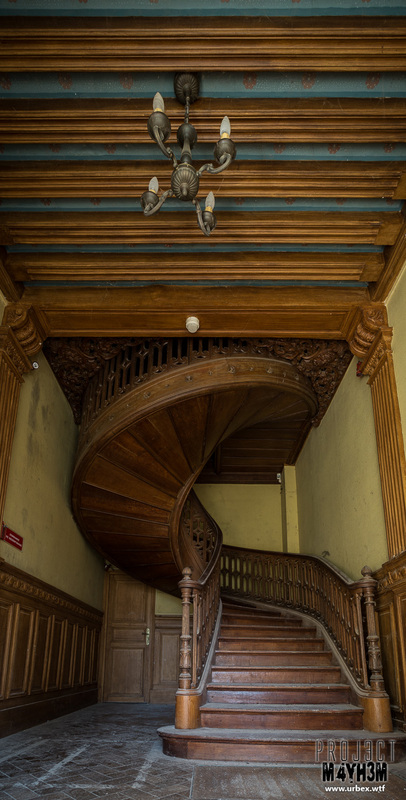 The Chateau itself was obviously the main draw and I think accounts for most of the photos below including the lovely spiral staircase which leads up to a small landing area with decoratively painted walls. 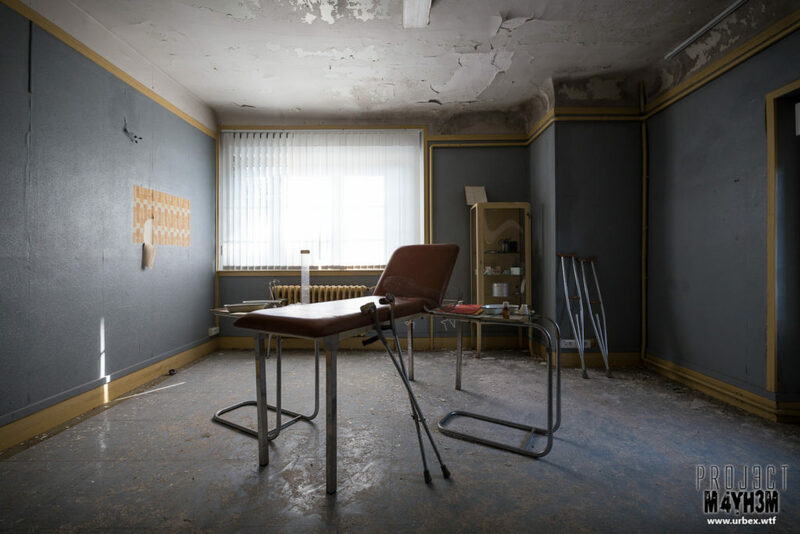 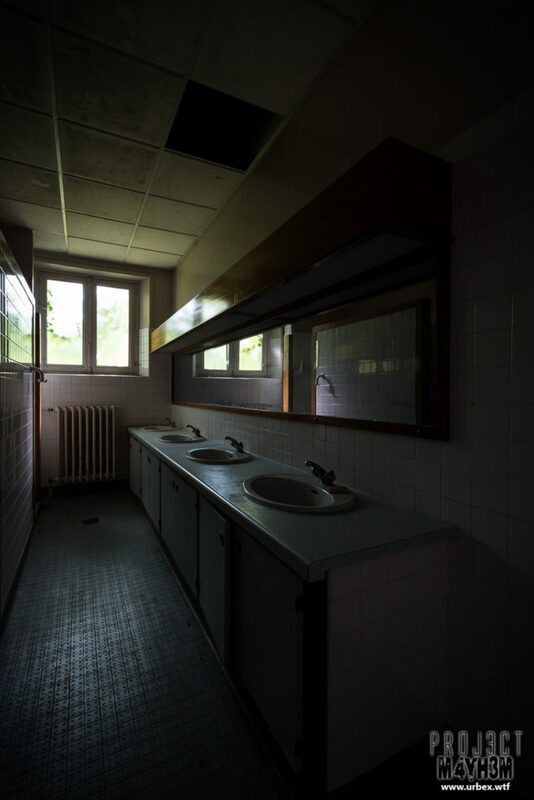 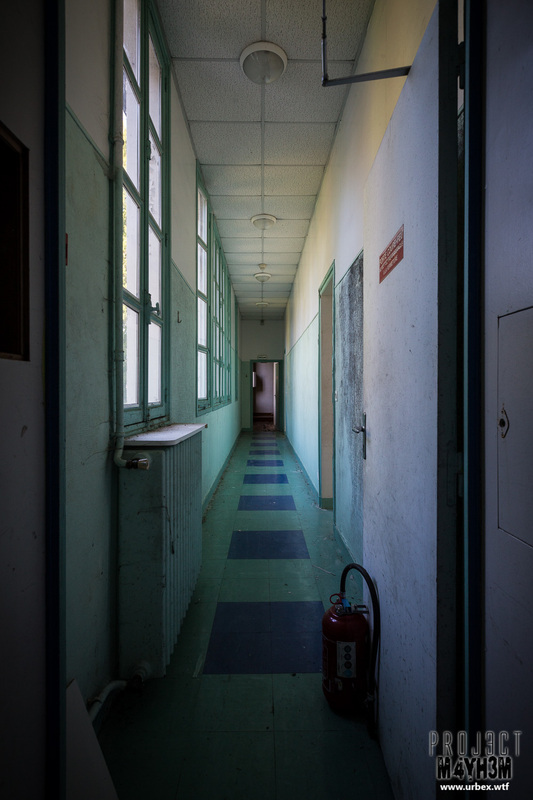 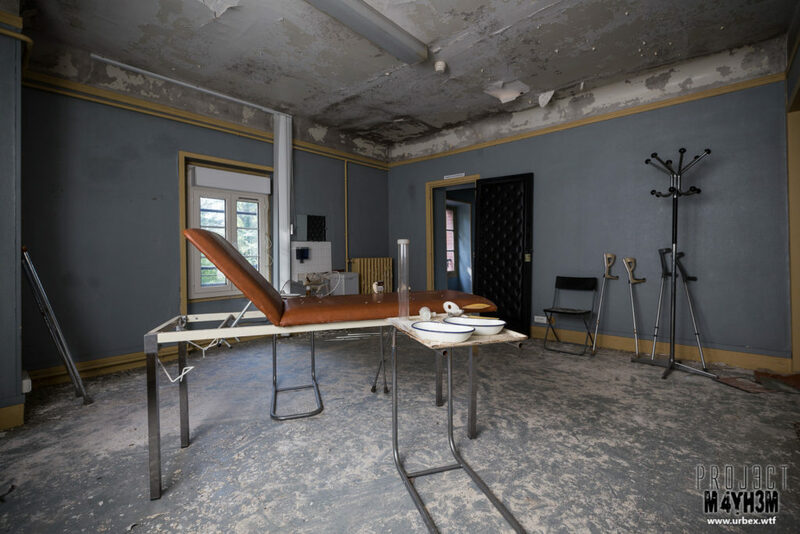 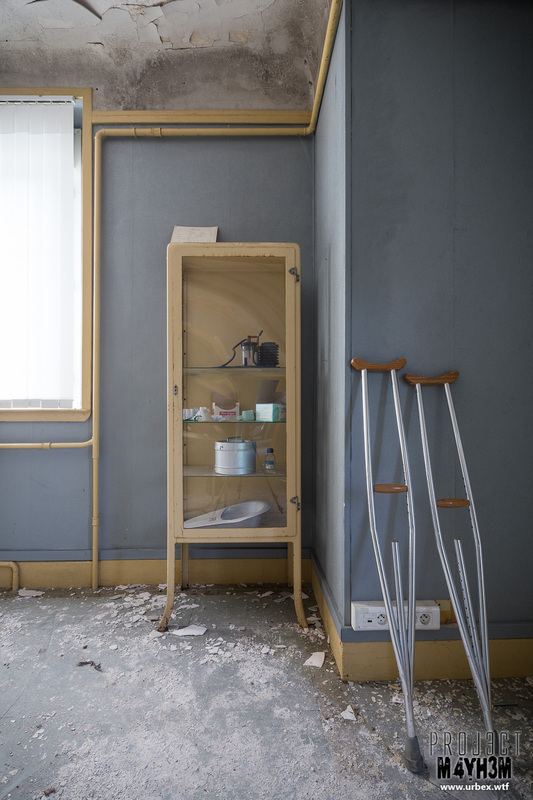 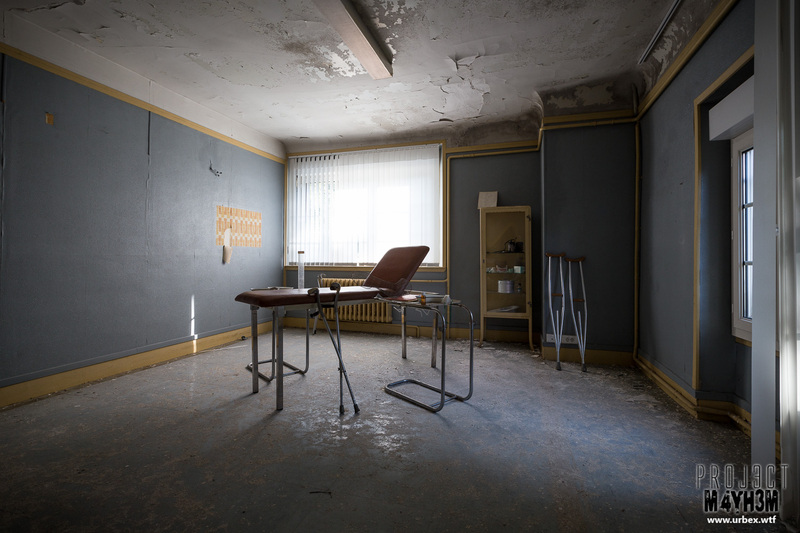 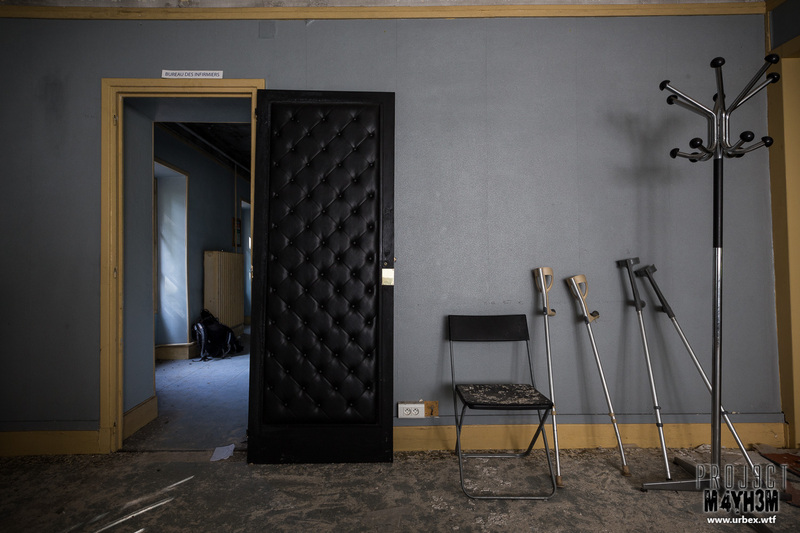 There was a room with an examination bed and a few pieces of other medical equipment which were one of the few remaining reminders of the last function of the building as a care home for the elderly. A lot of the upstairs rooms were bare, some had been stripped back to brick work and most were v oid of any contents. 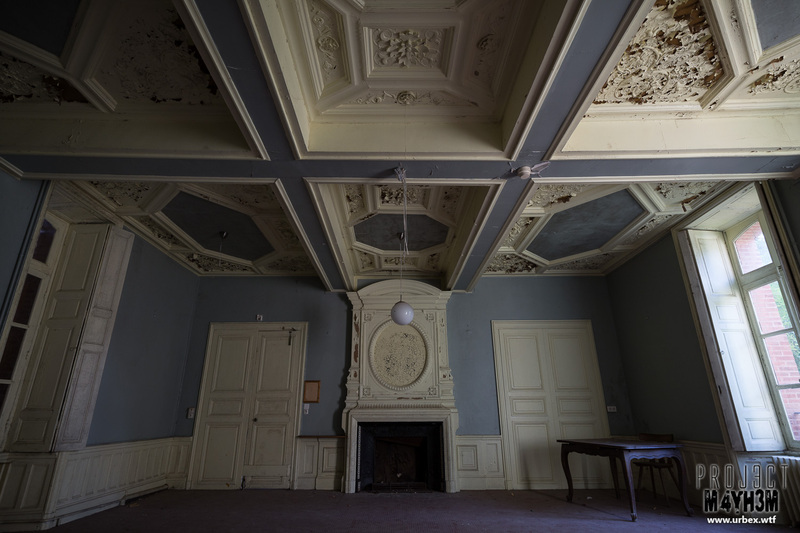 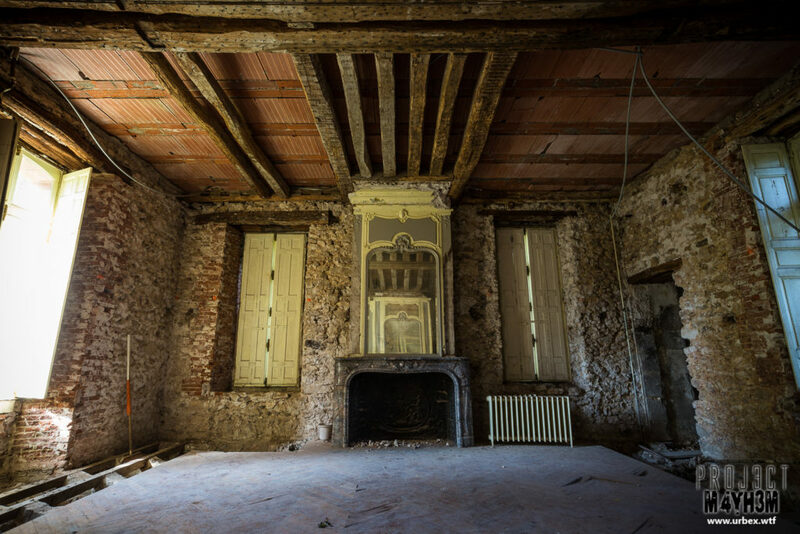 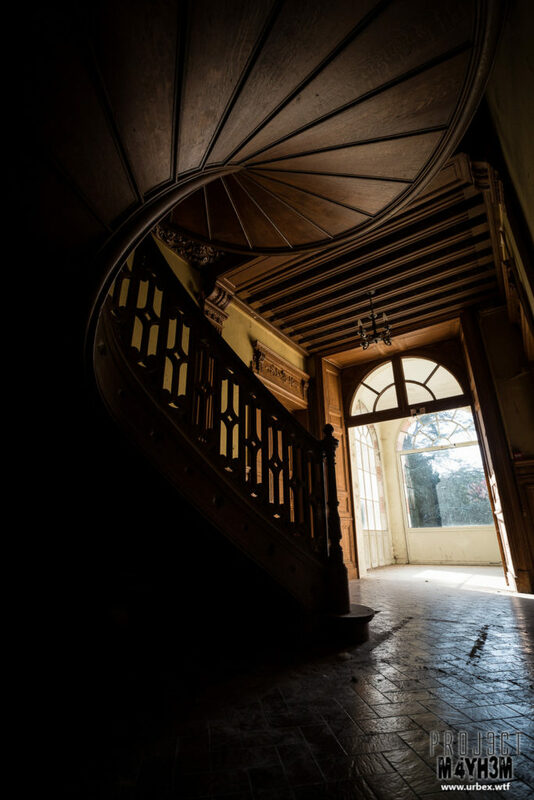 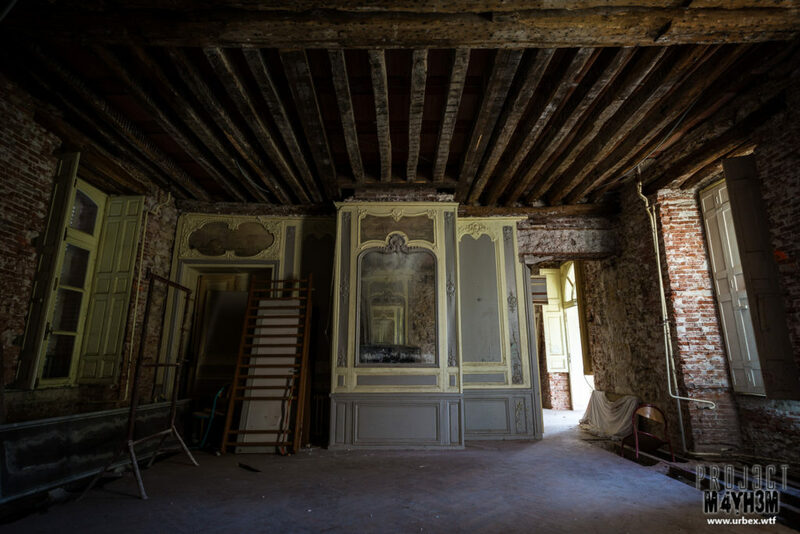 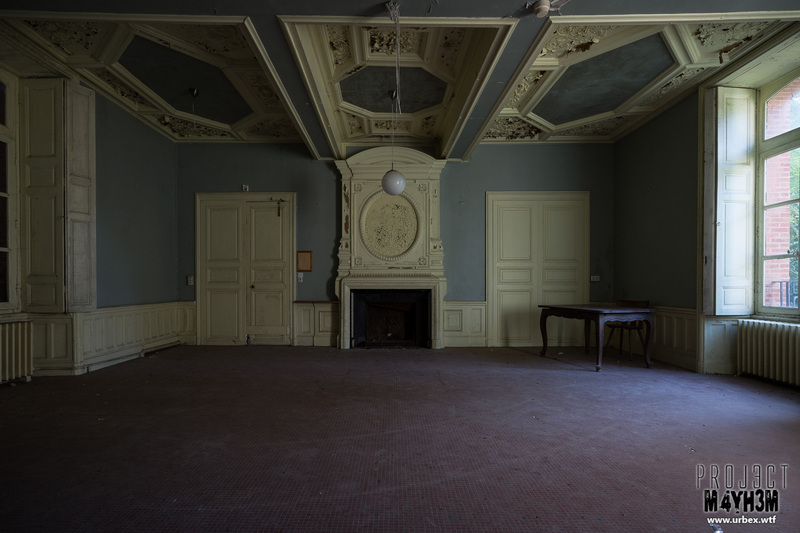 On the ground floor there were a few rooms which appeared to retain their original features with lovely plasterwork on the ceilings, on of these had acro props supporting the ceiling which was clearly suffering from weather damage presumably due to leaks in the roof.